More tourist spots in Baguio for a three-day tour. Previously, I sampled a Baguio itinerary good for two days and one night. 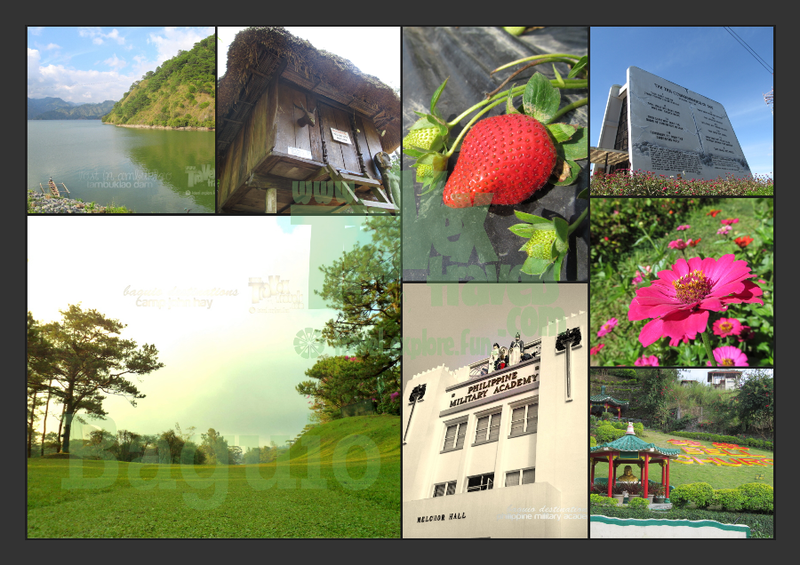 This time, I’ll be posting more sample itineraries including the other tourist spots in Baguio. Three-day tour is the most ideal Baguio trip because you have to incorporate both fun and relaxation. You went Baguio for the cool winds, and thus you must not exhaust yourself into hiking and walking and everything or else you will get sick after your trip. To know the first sample itineraries, you have to check my 2D/1N Baguio Itinerary post. From there you can already decide what to combine. Here, I’ll be adding more “concepts” on how to finalize your Baguio trip in case you will extend for another day. Philippine Military Academy or PMA is the premiere military school in the Philippines. To get there, you have to read Travex Travels post on how to reach PMA. I advise you to drop off at the main school, not the main gate because it would still be far to walk from main gate to the main building. PMA is definitely a walk tour destination. You have to allot a few hours in the vicinity. There is a small museum inside, a block away from the Lopez Group of Leaders building. Check memorabilias and old photos inside the museum. I suggest PMA on a half-day basis. All the other plans should be afternoon trips already. These two tourist spots are no longer in the vicinity of Baguio but they are located in the nearby town of La Trinidad. I suggest you to first visit Strawberry Farm. To reach Strawberry Farm from Baguio, you have to go to the terminal near the Center Mall. I’ll be making a separate post on this later. The terminal at Magsaysay Ave. cor. Bonifacio St. From Baguio Market or Centermall, you have to walk through the over pass over the intersection. You have to look for the jeepneys bound to “Buyagan” or “La Trinidad”. Tell the driver to drop you off to Strawberry Farm. Straberry Farm is locarted @ KM 6. Notice the fare rate inside the jeepney. From the drop off point, you have to cross the road and walk to the direction of the Strawberry Farm. No entrance fees but if you want to pick strawberries it should cost around P300 to P350. One kilo of strawberries should be fine at P120. On going back, ride the same jeepney and tell the driver to drop you off to Bell Church. No entrance fee in Bell Church but take note to respect the culture inside the temple. Bell Church looks similar to Cebu Taoist Temple. On going back to Baguio, ride jeepneys with “Baguio Plaza” at their signboard. Ambuklao Dam is a large water reservoir with a depth of more than 750 meters. In this place you will get to see a lake-mountain landscape. To reach Ambuklao from Baguio, read Travex Travels post on how to go to Ambuklao Dam. From the waiting shed/drop off point, walk your way to the spillway. There’s not much things to do in Ambuklao, but if your are lucky to catch kayaks or boatmen driving their boats, then you can probably hitch with them for free. On going back, read post on how to get back to Baguio from Ambuklao. Unfortunately, I was not yet able to do these things as of posting time. If I got the time to explore these wonders, I’ll be writing an article as soon as possible.